Inclusive Energy is committed to exceeding all legislated standards of safety. We take the wellbeing of our staff, clients and the general public very seriously and ensure health, safety and environmental protection in our workplaces. Our qualified staff is given extensive training and education to ensure everything we do is carried out safely and to our clients’ satisfaction. We are continuously updating and improving safety protocols as our work environments change and technology evolves. 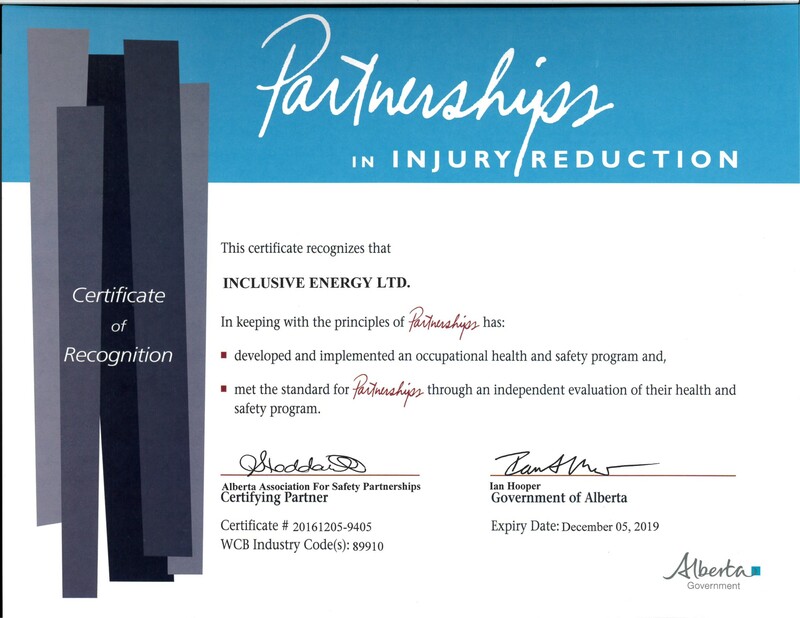 Inclusive Energy is a proud member of ISNetworld and was awarded a Certificate of Recognition (COR) for health and safety by Alberta Employment and Immigration.